Tomorrow I’ll begin my Weight Watchers journey. You might recall this post from last week where I talked a little about my Weight Watchers cook-in and how it inspired me to give the program a try. I’ve tried several things in the past, but none of them really allowed the flexibility I need in order to stay sane while losing weight. I need to have my pasta and I need chocolate in my life, doesn’t everyone? Weight Watchers is going to allow me to eat what I enjoy while encouraging me to make better choices. Though it’s going to be a big change, it will be a welcome one and I actually think it could be fun. Weight Watchers PointsPlus system is almost like a game. I LOVE games and I love WINNING them! And the battle against my weight is a game I plan to win. So I got a jump on this weeks meals this afternoon, Matt made my lunches for the next four days (because he’s awesome) and I prepared the sweet stuff that’s going to get me through! 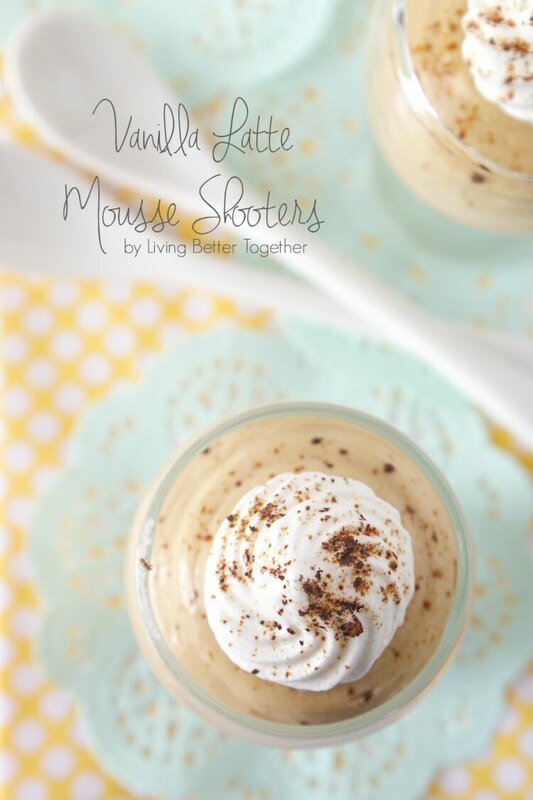 These Vanilla Latte Mousse Shooters were inspired by the Chocolate Espresso Mouse Shooters you saw in the cook-in video last week. 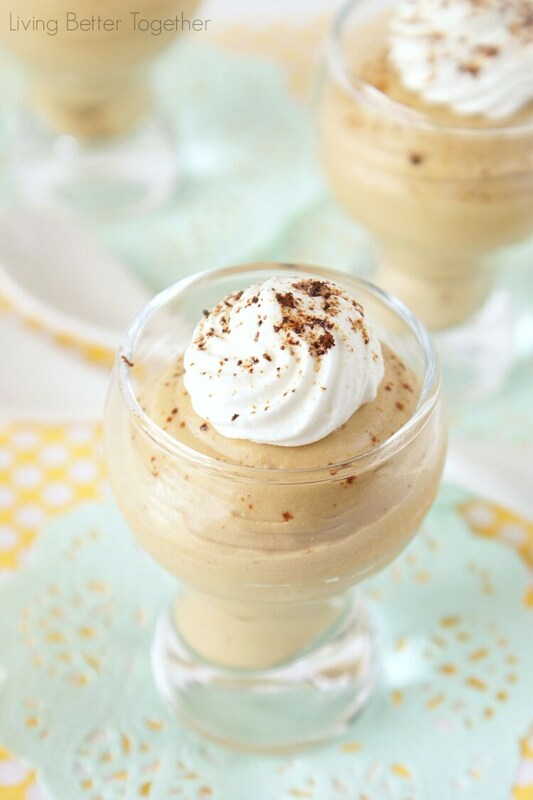 They’re so rich and creamy and just the right amount to satisfy that craving. The best part is that it make a ton of servings, sixteen to be exact! That means it’s a great petite dessert for a party or you can store them in the fridge or freeze them for yourself to enjoy when you need a little something sweet! I’m planning on treating you to an awesome Weight Watchers recipe every week and I hope you’ll enjoy them whether you’re on Weight Watchers or not! 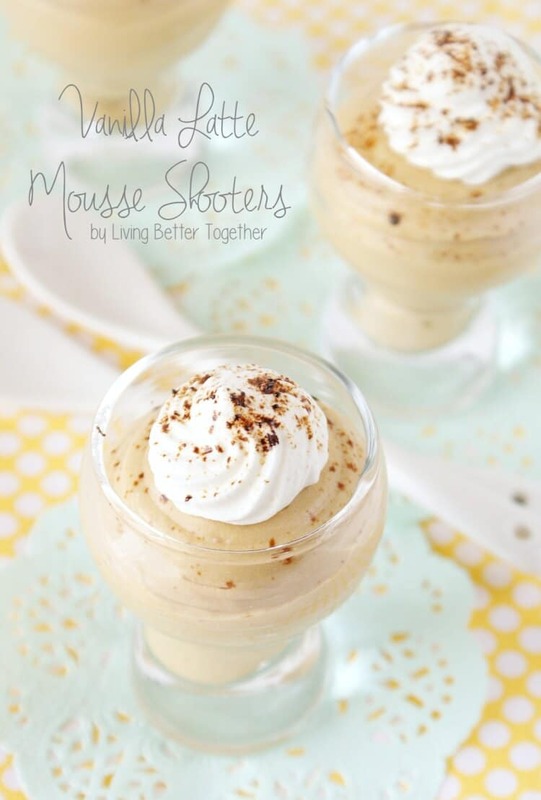 Because you sure don’t need to be on a diet to enjoy these shooters! 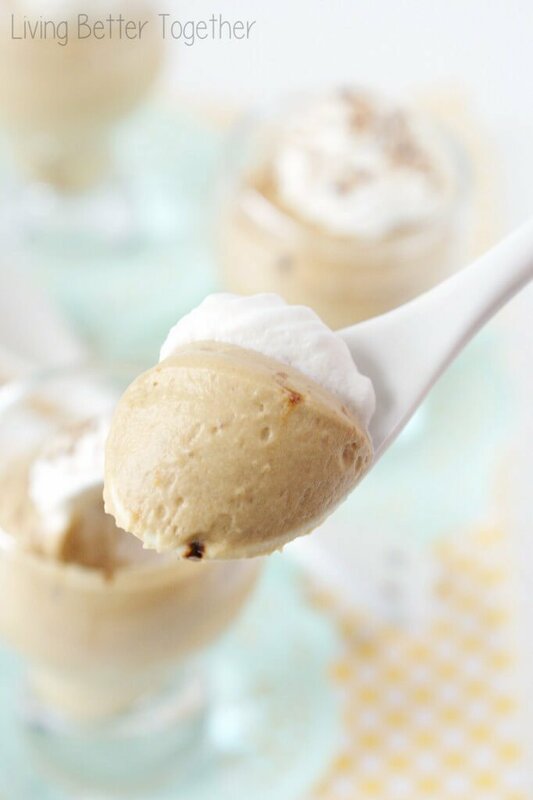 It you love your vanilla and your coffee than these are totally worth making! Bonus: this dessert is also gluten free! 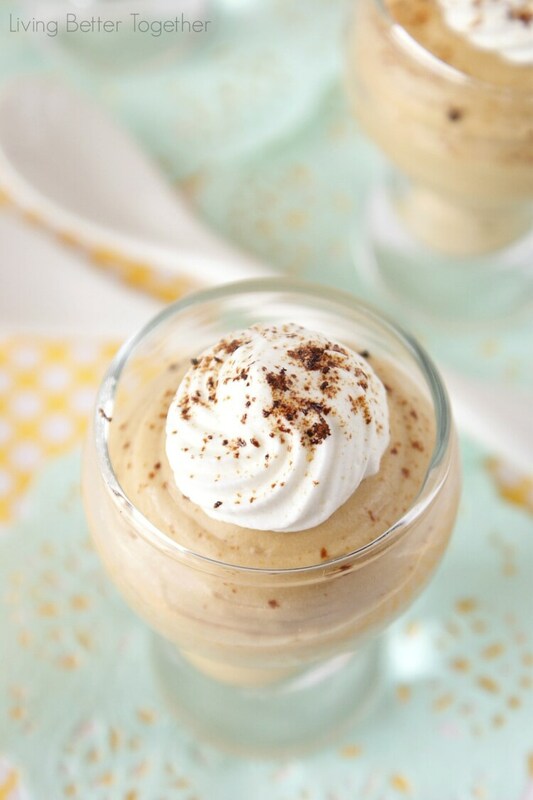 A rich and creamy vanilla latte mousse that can be whipped up in minutes! In a small bowl, combine 2 tsp instant espresso and hot water and stir until dissolved. Wisk in pudding mix and skim milk until well combined. Fold in 1 cup of cool whip. 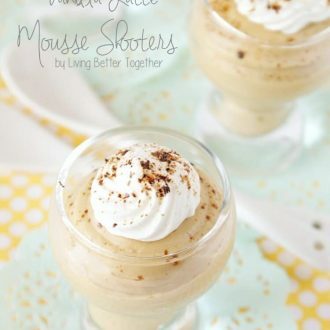 Line up 16 shot glasses and add 2 1/2 tbsp of mousse to each shooter. Top each shot with a tbsp of cool whip. Dust each shooter with instant espresso powder.